Fair warning, nothing in the following FAQs will help you with pregnancy but it’ll give you a laugh. Several doctors, who clearly have a blunt sense of humour, released their own Pregnancy FAQs for mums flirting with the idea of having a baby. 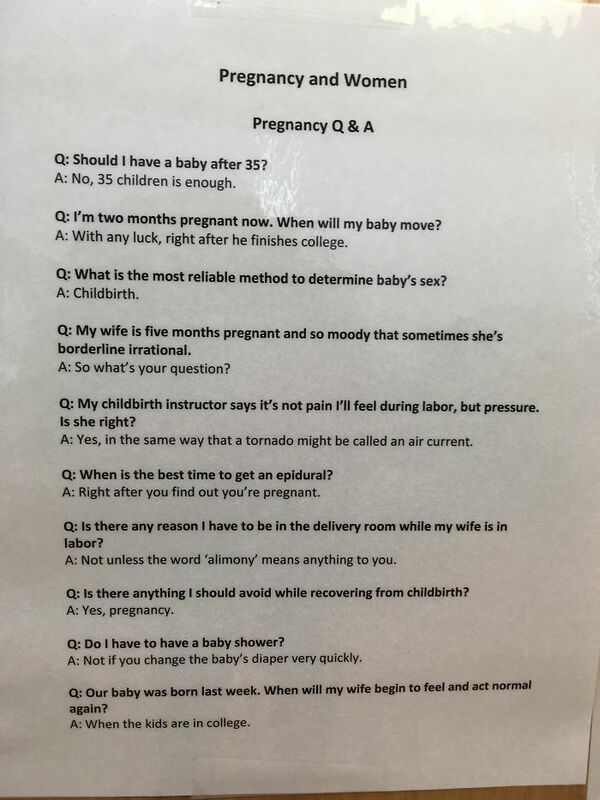 They placed the FAQs in the reception of their OBGYN clinic, and one mum snapped a pic and uploaded to reddit. So whether you’re a 22-year-old male or already a parent, enjoy!